Some of the most bitter complaints I get from patients are their hospital bills. Apparently, this complaint is not unique to me given numerous media articles about perceived outrageous hospital charges for seemingly simple procedures (article #1 and article #2). The healthcare system as it currently stands establishes 2 separate charges (surgeon and hospital) with any type of procedure performed in a hospital (even if not in an operating room). There is even a 3rd charge if anesthesia is provided. The ONLY charge a surgeon has any control over is the surgeon's charge which often is the least expensive of the 3 charges. A common misconception is that the surgeon also has control over hospital and even anesthesia charges which is patently false. Indeed, the surgeon is not even informed what the hospital or anesthesia charges are for any procedures performed. The surgeon also has no influence, say, or authority over what the hospital or anesthesia charges as well. As such, if knowledge of total costs is desired with any type of procedure performed in the hospital, it is best to speak with a hospital representative of what the anticipated charges will be... not the surgeon because we actually do not know. I should also mention that hospital charges are often 10 times or more greater than the surgeon's fees. 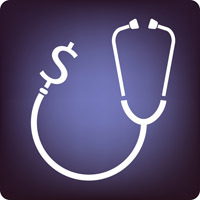 Read more about surgical fees. Even for the SAME exact procedure, the charges vary greatly from one hospital to another. In May 2013, the federal government released information on how a given hospital ranks in their charges for a given diagnosis or procedure (specifically Medicare, but all insurance base their charges on Medicare rates). Check to see how your hospital ranks compared with other hospitals with respect to how high their charges are. The New York Times created a handy dandy map that illustrates hospitals which are "expensive" and those that are below average in terms of hospital charges. I should mention that Fauquier Hospital where I have privileges charges at less than the US average. Let's take an example to see how hospital charges can significantly influence how much you pay for the same exact procedure depending on which hospital you go. Let's say you have health insurance with a 10% coinsurance and a $1000 deductible (meaning, before insurance pays for anything, you must pay at least $1000 and than an additional 10% of all remaining charges). Let's say you decide to proceed with a tonsillectomy. At hospital A, the surgeon's fee is $500, hospital charges are $5000, and anesthesia charges are $1000 for a grand total of $6500. At hospital B, the surgeon's fee is $500, hospital charges are $10,000, and anesthesia charges are $5000 for a grand total of $15,500. Clearly, whether you go to hospital A or B, you will pay $1000 deductible first. So, at hospital A, the total charges (minus your deductible) billed to insurance will be $5,500 and at hospital B that cost will be $14,500. Insurance pays 90% of these charges and you pay the remaining 10% (the 10% coinsurance as per the policy you have). As such, having a tonsillectomy at hospital A will cost an additional $550 whereas at hospital B, you will have to pay an additional $1,450. Now, it may seem the charge differences are extreme in the example, but sadly, hospital charges can truly be that dramatically different. Read this New York Times article for more information. Of course, do keep in mind that the above example is over-simplified as reality does include things like fee schedules, allowable charges, etc.